On Wednesday, Facebook mentioned that they are incorporating #hashtags into Facebook. What does that mean to a CRA fan? Now, we can all talk about the events going on in Seaside, Florida, together. By incorporating the same #hashtag into each post, it will compile all of the posts that have used the same #hashtag. Instead of just going to Cottage Rental Agency’s Facebook page, you will be able to type in #SeasideCRA into your search bar and see everything that we say on Facebook, as well as everyone else’s comments that are mentioning Seaside, FL by using #SeasideCRA. This will give our fans the opportunity to contribute to conversation that is going on about Seaside, Florida! We are excited to see this new element roll out! 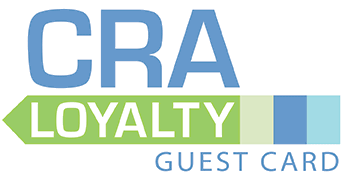 CRA loves Facebook, but there are many other social media outlets that we also hold a presence on. We encourage you to follow us on Twitter, Pinterest and Instagram. These platforms help keep fans of CRA informed about what is going on in Seaside, Florida. Twitter is much different than Facebook since you are limited to 140 characters. This platform focuses on short and precise content rather than albums of pictures on Facebook. It is exciting to see all of the tweets from people that are excited for their vacation to Seaside, Florida. 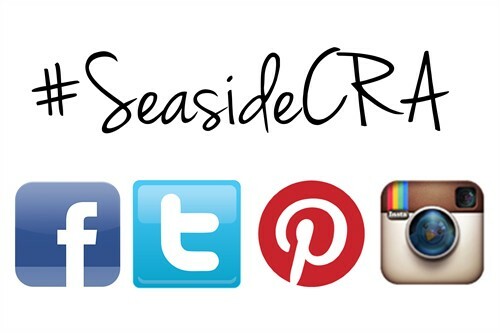 Please reach out to us and use #SeasideCRA to let us know that you are coming to Seaside soon! We want to share in the excitement with you and see the great beach pictures that you share while you are visiting! Just recently, CRA created a new Pinterest page to help engage with fans that are sharing their beautiful pictures of Seaside, Florida. We are so lucky to have such beautiful beaches and so many picturesque places in Seaside, FL to share. We have created boards for eateries, shopping, beach pictures and events going on in Seaside, Florida. We also create a new board each week for the featured cottage. Feel free to tag your pictures with #SeasideCRA or simply incorporate the words “Seaside, Florida” into your caption and we will be able to find your picture and repin it to our boards! Instagram is fairly new to the social media world and is very unique in the fact that you can only add pictures to Instagram through your smart phone; which allows for the content to always be fresh and recent! Please follow us, @SeasideCRA, to see all of the pictures we capture from the cottages, the town, beaches and so much more. More importantly, while your vacationing in Seaside, Florida, #SeasideCRA, and we will share your favorite beach pictures to other CRA fans!